The Sharp R-22AT 1500w Medium/Heavy Duty Touch Control Commercial Microwave comes packed with features that are designed to make your commercial catering business easier to run. Maximum customisation and flexibility is provided by this commercial microwave oven’s 11 variable cooking controls, 20 memory settings and 20 litre capacity. 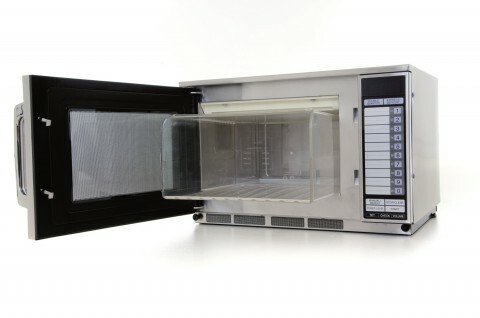 This Commercial Microwave Oven also includes an NSF Approved Microsave Cavity Liner, which helps to make the operation of your catering business that much more efficient and easy to operate. Microsave Cavity Liners protect the inside of commercial microwaves from everyday wear and tear, making them considerably easier to clean, and dramatically extending their lifespan.